Suicide claims more police and firefighter lives than any of the dangers they face on the job, which is why a Virginia police department is using a video featuring first responders sharing their stories to help others. 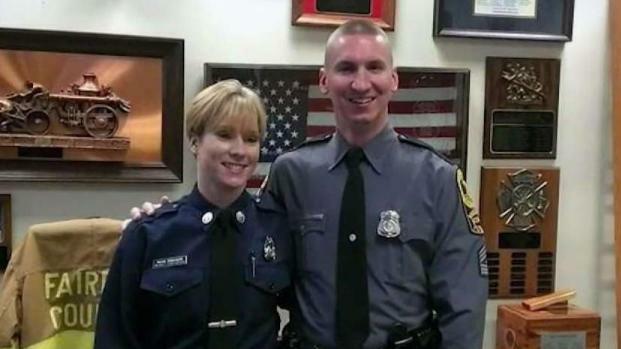 Fairfax County police Officer Meg Hawkins has been in law enforcement, which helped her realize something was wrong with her husband, Eric Provow. A combat veteran in Afghanistan, Provow started having flashbacks, nightmares and trouble sleeping but never reached out for help. Virginia State Police Officer Steve Mittendorff struggled after his wife's suicide in 2016, but he is sharing his mental health battle to help other first responders. Doreen Gentzler reports. He said he suffered for almost a decade and began a second career as a Fairfax County firefighter after retiring from the military. Then came the moment that changed his life. “He had made a comment to our friend that I wouldn’t have to deal with his demons anymore, and I knew that he was suicidal,” Hawkins said. He started treatment the next day and continues going to therapy for post-traumatic stress disorder. Fairfax County Police Chief Ed Roessler has been candid about the topic, too. Last year, more police officers and firefighters died by suicide than all line-of-duty deaths combined. First responders are also five times more likely to suffer from PTSD and depression. Roessler is trying to change that by speaking openly about his PTSD. He wants first responders to know they’re not alone, so in January he started showing a video during roll calls featuring first responders sharing their stories. “It’s difficult to watch but it’s the reality of first responders telling their mental health battle stories and how they continue to fight daily to maintain their wellness,” Roessler said. 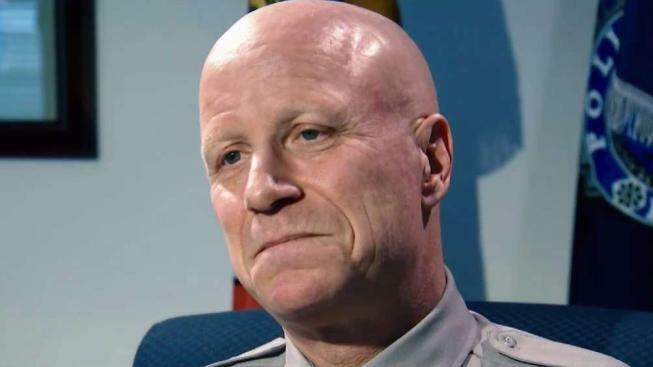 “I think everybody, every day has ups and downs, and for him as the chief of the department to come forward and say, ‘Hey, look, even I have problems,’ I think that’s huge, and it makes a huge statement, and I think others should follow the example he set,” Provow said. He and his wife believe the chief has opened the door to saving lives. The video includes Steve Mittendorff of Virginia State Police, whose wife killed herself in 2016. Reports later surfaced she was cyberbullied by colleagues at the Fairfax County Fire Department. He said his wife wrote a suicide note as she plotted her final moments in the woods at Shenandoah National Park. Mittendorff struggled emotionally after his wife’s funeral, and thoughts of suicide crossed his mind, too. Until the video, Mittendorff had been private about his personal pain. “You know, our bodies, our minds were not built to withstand and hold all that we see and endure on a daily basis in our careers, and after a while, that begins to build up,” he says. But as things began to build up for him, Mittendorff reached out for help. But thanks to therapy he found hope. He said he hopes the video and his story saves lives. Reported by Doreen Gentzler, produced by Patricia Fantis and edited by Perkins Broussard.